When Google was created, it was not the dominator in this of web searches. Yahoo! had more users and popularity. But, today the tech giant Google is celebrating its 19th anniversary, an event that precedes the expected big party next year. 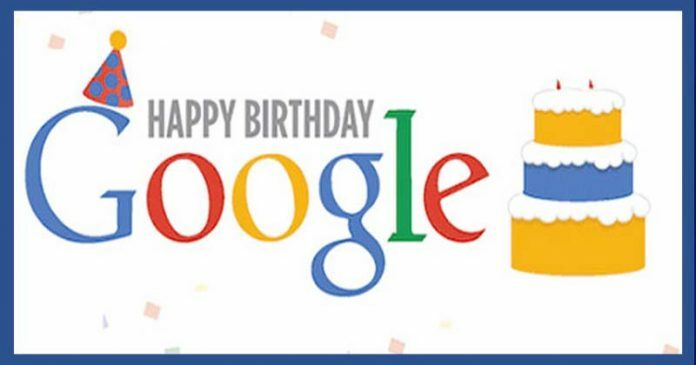 The tech giant Google is celebrating its 19th anniversary today, an event that precedes the expected big party next year. Time goes by fast, something you will surely have noticed if you are one of those who remember how the tech giant Google’s search engine used to be. Much has changed in the interface and in functions, even now it is much more than a simple search engine. When it was created, it was not even the dominator in this of web searches. Yahoo! had more users and popularity, plus much more options like weather or sports results. Let’s not fool ourselves: 19 years ago the tech giant Google was boring, yet effective. Since then, its evolution has not stopped adding new features. We are talking about the search engine, not the company. If we refer to what we know today as Google, surely we are talking about Alphabet, the matrix that includes all the affiliates associated with the brand, such as its project for the self-self-sustaining car. As you can see, over the years the tech giant Google has changed as much as we do. From the internet of old-fashioned and horrible web pages to responsive design tailored to mobile devices, fast loading sites or images, and simpler designs and with better finishes. For the new generations, it can be shocking to take a walk on the internet of past. If you want to see more, you can do it here at archive.org, a sort of Library of Alexandria of digital files. Just enter the URL that you want to see in your browser and get on the time machine.